And she's out...bulkhead looks pretty good too..... tomorrow I'll mount it in my engine stand and see if I can get it to run, gonna hafta to borrow a starter tho, this one's toast. Do you rebuild the starter or just get one already done? With the engine out the next job will be to disassemble the subframe and send it out to be sandblasted and powdercoated. Then I'll pull the rear one and do the same. while those are out I'll pull the head and see what I can learn about the condition of the engine - that's why I want to run compression too. If not done already I'll have the machine shop put the hardened seats in and give it a good valve job and surface. I'm undecided about tearing the engine down and going thru it, It made good oil pressure on the starter, but who knows what it will do once warmed up. As I never drove it I also don't know if the synchros are any good. It might turn into one of those "while you're in there" jobs. In between I have to pull the dash so I can move the pedals and steering column over to the left side again. Then make some new brake and clutch lines and start re-assembling. It's a LOT of work, but I think the results will be well worth it. Dave are you keeping this one or flipping it? We're undecided....I have a partner on this one but we've joked about keeping it under a shared custody arrangement. Dave that Mini is so nice I know if it was in my grubby hands it would be staying. Here is a chart to help you if you get stuck on anything. Ha! I've been surprised how easily this one has come apart, nature's locktite (rust) hasn't seemed to get a grip on it yet. Got a few Inno errands done this am, my local lock and key guy actually had an ign key blank for it - I was amazed as it's a brand I'd never heard of before used on Fiats and Citroens - Arman. He's going to make 2 complete sets of keys by the codes as these do have some wear on them. A Mini friend sent me an Inno wiring diagram that he had redone in CAD, I took it down to Kinkos and had them make me an 11X17 that I can actually see with my tired old eyes, and laminate it too so my greasy paws wouldn't leave prints all over it. I didn't get to work on the Inno yesterday, so this afternoon I'll get the motor wrassled out of the subframe and into the engine stand - it's a cold rainy day with snow forecast for later in the week so it's a perfect time to be working in the shop. 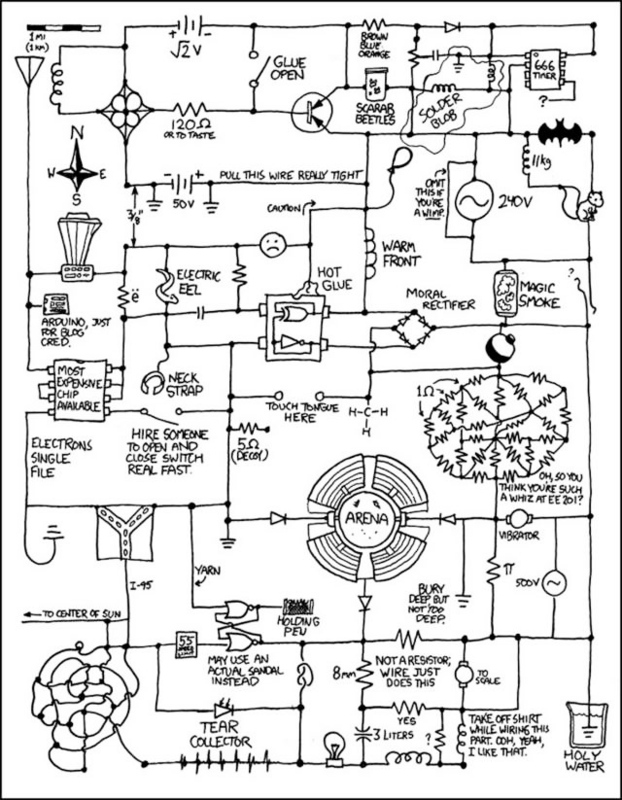 Dave here is a wiring diagram that will work for your Mini & Jag. Motor is out of the subframe and into the engine stand, tomorrow I'll see if it will run! Hardy Spicer joints are a PITA to get undone. No joy getting it to run this am....no fire, so I have to do some more sleuthing. Ran compression tho…...150, 150, 140 , 145 and that's without adjusting the valves, could be more there after I get it started and blow out the cobwebs. The old starter that I dug out of my old parts stash cranks it over pretty good. More as it happens - or doesn't! Spent today tearing down the front subframe and it's components so I can send them all off to the powder coaters on Tuesday. I can't work too long in the shop due to the cold (15* last night, 30 today) without having to go back in and warm up. The upper control arm bearings and shafts look fairly new, everything else is completely knackered, all the rubber bushings are soft and squishy from oil leaks and the inner sleeves welded to the shafts with rust. The front cones are half their normal size! Subframe looks like new, with no damage or rust, just a ton of grease and grime. When it all comes back it will look brandy new and I'll have all new parts to reassemble it with. Dropped the BIG order at Mini Spares in England, including the new steering rack, 5 new tires, new exhaust, suspension bits and new seat belts plus loads of bitsas. Should be here by Thursday, as fast or faster than they come from California! Major milestone, got the rear subframe out and stripped down, ready to go to the powder coater/blaster guy. The front one is already there. Only broke off one of the 8 bolts that hold the trailing arm outer brackets in place, I'll get the torch after that and it will come out. 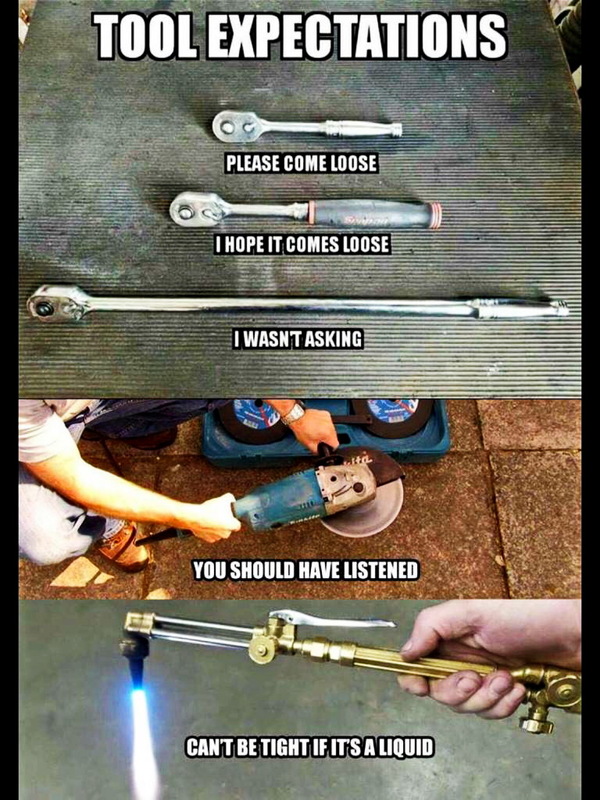 I also have to get the hot wrench after the screws that hold the front disc rain/dirt shields together, all four of them are phillips head screws and they are stuck tight. Both subframes are in remarkably good condition, no rust or damage anywhere. Once I get every thing cleaned and stripped down I'll take this second load to the blasters and get them done too. The car has Spax adjustable shocks, both adjusters move and both work - changing the stiffness - although they both look a little rough, they'll clean up. A little sanding and a squirt of paint and they're good as new. I also picked up the extra keys from the locksmith, they all work too! I was surprised he had the ignition key blank on hand, it was a brand I'd never heard of before but when I found a place in England that specializes in this brand, the blank they showed me was exactly the same.....so, result! In the meantime I'll drop the steering rack and start cleaning the bulkhead and engine compartment - there's very little to fix there, but I also have to pull the pedal assembly and steering column so I can move them over - also have to move the master cylinders and make up new lines for them. Oh, and it's supposed to warm up tomorrow o I'll replace the shop back door that disintegrated and if I have time, see if I can make the engine fire up. Picked up the fuel tanks today - they said it took a week or more to get all the crap out of the tanks, now at least they don't stink and with the red coating inside will never rust or leak. I had my Jag tank coated back in the early 90's, still looks like new inside! A few weeks ago I sent the fuel sender off to a specialist in New York who called me today to say he had it done, it reads correctly and even the low fuel warning light part works.... considering just how badly encrusted with rust and varnish it was I'll be excited to see how he did. It was $pendy but there are no correct fuel senders that I can find so you do what you have too I guess. I've read that the Jaeger benzina gauge is not compatible with the Mini senders available, plus they don't have the low fuel warning light circuit - I think. At any rate, it's done. When I get it back I'll post a pic of it, before and after. I now have the fuel system all done, the pump survived and still works, the tanks are cleaned and coated, and with the sender I can put it all back together. I also got the Monza gas caps to install. I know they didn't have them from new but like the Cromadora wheels and Abarth steering wheel, I consider it a period accessory. The left tank is interesting, it's the large 9 gallon (7.5 Imperial) tank but it has the screwed on sender instead of the one with the twist in retaining ring. Since it also has the right side 5 gallon tank, I can do a LONG trip without refueling!